Most of my dragons are still basic, but all of of them look great anyway. [url=http://flightrising.com/main.php?dragon=29575212] [img]http://flightrising.com/rendern/350/295753/29575212_350.png[/img] [/url] My techy boi Teseo - if you know of his namesake UR AWSUM LOL! ^3^ [url=http://flightrising.com/main.php?dragon=40733559] [img]http://flightrising.com/rendern/350/407336/40733559_350.png[/img] [/url] Etzli, the resident blood mage. [url=http://flightrising.com/main.php?dragon=25750837] [img]http://flightrising.com/rendern/350/257509/25750837_350.png[/img] [/url] And Sunshine, our engie, whom I plan to turn into a coatl eventually. Maybe. Maybe something else. I don't know. Most of my dragons are still basic, but all of of them look great anyway. Etzli, the resident blood mage. 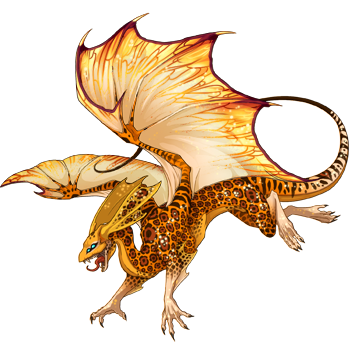 And Sunshine, our engie, whom I plan to turn into a coatl eventually. Maybe. Maybe something else. I don't know. I'm late, but hopefully I can still apply my precious dragons! Here is my first dragon, Wisteria! She serves as the monarch for the fae family in my lair, with her mate Azurmalachite by her side. I love the color purple and I thought that her pink wings complement her sweet nature. Next is Wisteria's daughter, Mulberry! I was so excited when I hatched my first nest of twin eggs, welcoming Mulberry and Sodie to the world! She has grown up to be a fantastic dragon. I believe the sepia fashion her regal purple. Although, her elegance doesn't overlook the adventurous spirit whirling within! I'm proud to have her as my current icon! Iphenia here is my first G1 project, and I'm honestly tempted to keep her wings basic because they're just so clean and unpatterned compared to her primary. 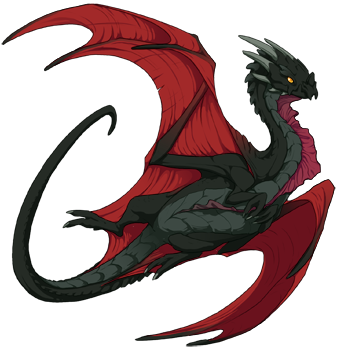 My custom progen, Zraex: [url=http://flightrising.com/main.php?dragon=38787441] [img]http://flightrising.com/rendern/350/387875/38787441_350.png[/img] [/url] He's my first ever dragon - I can't bring myself to even put apparel on him. 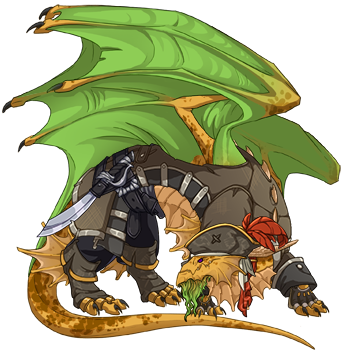 And his pirate boys, Jellybean and Captain Nanners: [url=http://flightrising.com/main.php?dragon=38904583] [img]http://flightrising.com/rendern/350/389046/38904583_350.png[/img] [/url] [url=http://flightrising.com/main.php?dragon=38904584] [img]http://flightrising.com/rendern/350/389046/38904584_350.png[/img] [/url] I've considered geneing them before, buuut I like 'em for their colors more than anything. He's my first ever dragon - I can't bring myself to even put apparel on him. I've considered geneing them before, buuut I like 'em for their colors more than anything. all the basics I have are from night of the nocturne, but the colors are too perfect for me to gene!